Leading local and national business people were invited today (Friday) to join in the drive for further economic development and job creation in County Wicklow. As part of its ongoing commitment to economic development, Wicklow County Council hosted the 2019 Breakfast Briefing attended by key County Wicklow business stakeholders. Business stakeholders suggested ways how Wicklow County Council can, through collaboration and engagement with the business community and state agencies, drive economic activity in the County and increase job opportunities. New public library in Wicklow town. He also outlined the progress made on the issues raised at last year’s event. 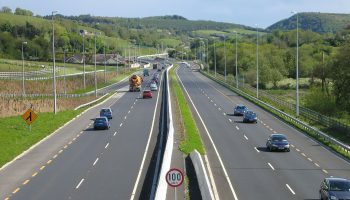 In his address, Mr Frank Curran, said; “I believe that County Wicklow’s strategic location, with easy access to Dublin Airport, Dublin, Wicklow and Rosslare Ports; its skilled workforce and transport links places the county in a strong position to attract industry and enterprise opportunities’”. This, stated Mr Curran, demonstrated that County Wicklow has a highly skilled and educated workforce which was a valuable resource for a potential business looking to locate in Wicklow adding that this information will be used by as a marketing tool for to attract business to the county. 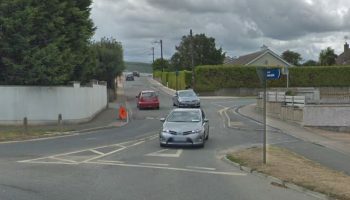 He said that it was clear from the morning’s briefing that the business community is extremely interested in working with Wicklow County Council to enhance business opportunities. He was delighted with the turnout and expressed his appreciation to all stakeholders from the various sectors for contributing to the event. The briefing also heard from Dr Barry McCleary, CEO, Megazyme, who described the company’s development, its successes and challenges since relocating the business to the Southern Cross Business Park, Bray in 1996 from Sydney, Australia. He also talked about the range of products developed by Megazyme. The Breakfast Briefing concluded with some final thoughts and commitments by the Wicklow County Council Chief Executive following a Question and Answer session and contributions submitted by participants. MC for the event was Mr John Ryan, CEO of Great Place to Work.